Screenshot this article for your #FlashbackFriday Instagram post because we’re taking our fanboy and fangirl tendencies back to the mid-1990s for this story. 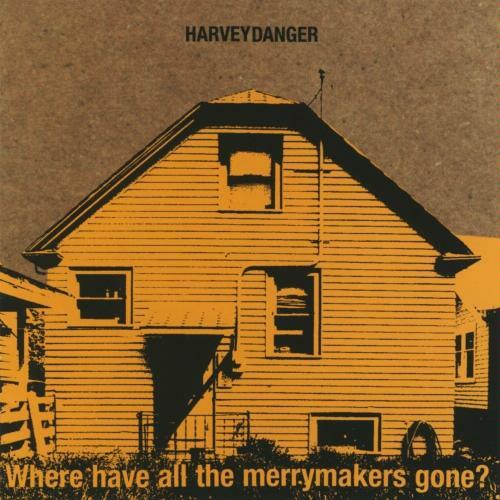 No Sleep Records has announced the first-ever vinyl pressing of Harvey Danger’s Where Have All The Merrymakers Gone? The album, which was originally released in 1997 to critical acclaim, features the classic “Flagpole Sitta” amongst other fan favorites. Pre-orders for the release started today and are expected to go fast. Click here to claim your copy. “Under the long shadow of 17 years’ worth of memory, I must say that listening back to the 10 songs that changed everything for us is a bracing sensation. To hear the person you were when you weren’t yet who you are now is to understand how little you understood, and to recognize how little you even could have understood. This is doubly bracing when you consider that the person you were then had everything riding on the depth of his understanding. It’s tempting to be hard on your past self, the one who made all those idiotic mistakes, who scorched so many friendships, who insisted he knew exactly what we was doing while steering car after car into ditch after ditch. And yet, temptations aside, it feels a lot better, and in a much bigger way, to hoist hindsight’s binoculars to your deteriorating eyes and spy something you love.” (full inscription from Nelson can be found in the liner notes of the vinyl LP). You can stream “Flagpole Sitta” below. It’s still as good as it was in 1997, so prepare to have it stuck in your head for another decade or two.